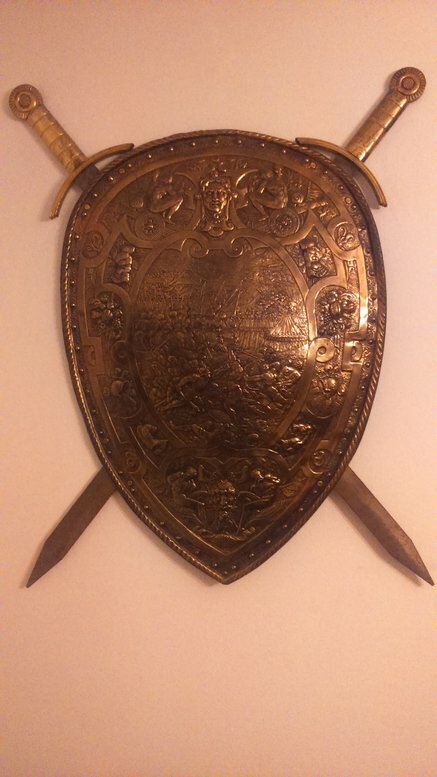 I bought the shield (and the swords) on a flea market in Brugge (Belgium) about 6 years ago. I was hoping somebody would be able to help identify it. I am guessing it is a replica? What battle is depicted? The swords are clearly modern. The shield is also modern, but the embossed designs may be partially based on some 16th- or 17th-century parade shields. Pics of the back would help, that will tell us a bit more. Its totally modern, but the shield is nice, unusually good copy of a parade one, early 16th cent. Might be an electrotype of an original even. It is a quite faithful copy of a shield in the Louvre attributed to the French king Henry II (r. 1547-59). 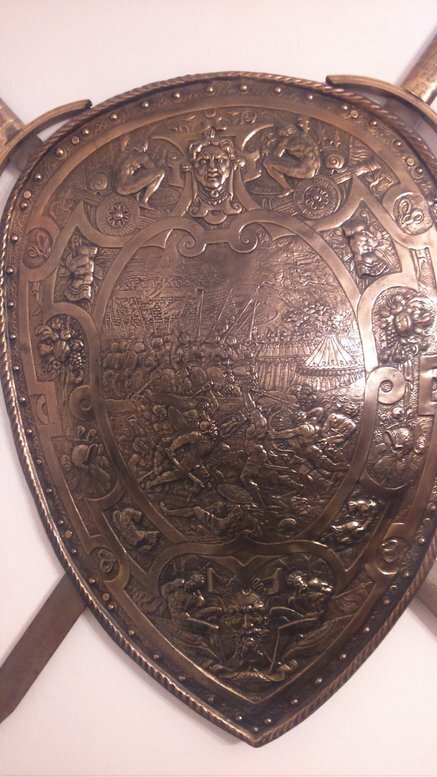 There is a very similar shield in the Met, almost certainly by the same artisan, but showing a different battle scene.